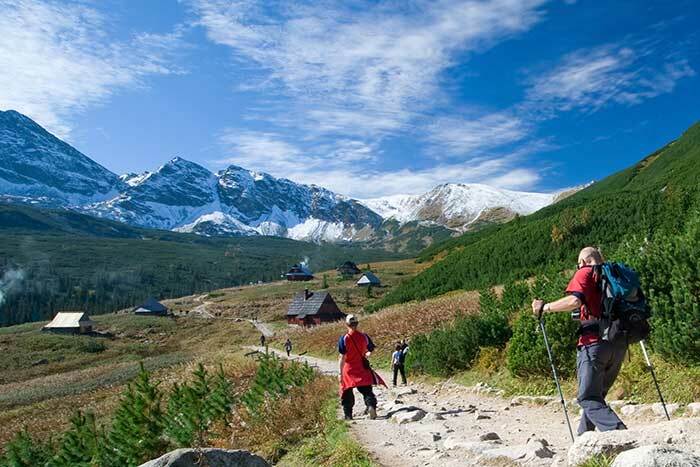 Take your Eastern European experience to new heights in the High Tatra Mountains, a dramatic border between Slovakia and Poland. 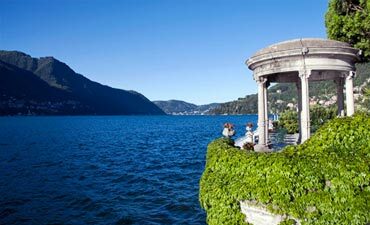 Twenty-five towering peaks soar above picturesque lakes, rivers, forests and valleys. 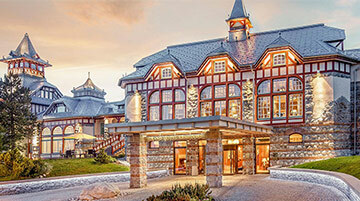 Spend your days exploring an alpine wonderland and relish nights in grand lakeside hotels and mountain-ringed retreats. 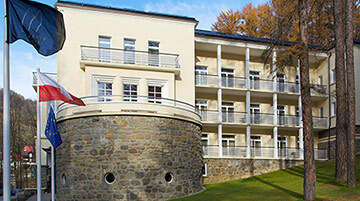 With alluring Kraków bookending your adventure, your trip is complete. Days 1-2 From Kraków we shuttle into breathtaking Tatra National Park | Climb through dense forest and open meadows, pausing to enjoy panoramic vistas of surrounding mountains and valleys | Bustling Zakopane has long been a popular gateway resort for alpine enthusiasts and a fascinating center of highland culture | Get to know Szczawnica, a mountainside spa town made famous nearly two centuries ago by the curative properties of its thermal mineral springs | Pass through tiny mountain hamlets where local ethnic communities proudly display their distinctive dress, customs and language. 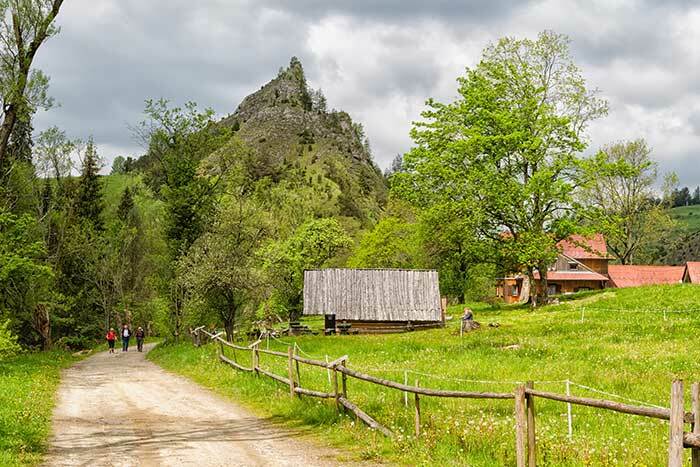 Days 3-4 Venture into Pieniny National Park, stopping to greet local shepherds and sample their goods—care for some oscypek? | Joined by a local mountain guide as we hike through grassy meadows and along a dramatic ridgeline, we gain insight into the region's varied landscapes, as well as the traditional highland culture | Following an off-the beaten-path route, cross the border into Slovakia on foot | Enjoy the views at our magical hotel nestled between Strbské Lake and the Slovakian High Tatras. 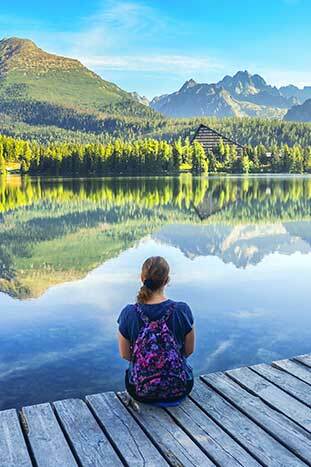 Days 5-6 Discover a panorama of craggy massifs, pristine lakes and wildflower-strewn meadows in the High Tatras | Fuel up with a hot lunch on the trail at a rustic mountain hut | For an added challenge, hike to Vel'ké Hincovo Pleso, the area's largest and deepest glacial lake, tucked high amid rocky peaks | Hiking through a spectacular alpine refuge for myriad flora and fauna, see for yourself why Tatra National Park is recognized by UNESCO as a biosphere reserve | Returning to Poland, hike a wooded route passing by a scenic sanctuary and pilgrimage site before traveling on to Kraków. From $4,099 - $4,349 pp dbl. occ. 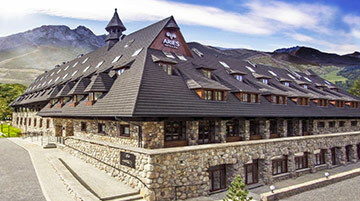 Note: The terrain on this trip is rolling, with some steeper inclines and descents, particularly in the High Tatras. We generally follow well-marked valley and alpine trails on which you can expect to encounter uneven surfaces including rocks and roots. Backroads has the best-qualified people to lead your trip in Poland, and our guests back that up, rating our Trip Leaders an average of 9.75 out of 10 for all-around quality of performance. 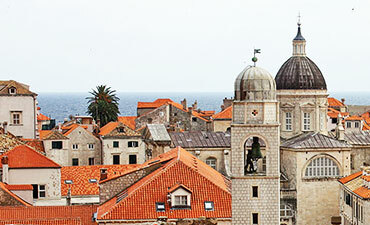 Get the facts (and no fluff) on how we recruit and develop the very best people for your trip. On our Poland trips we have an extra leader supporting you along the trail—for a total of three, compared to the industry standard two. So we can be in more places at once, giving personal attention to guests traveling at their own pace. Here's more on our Trip Leaders. 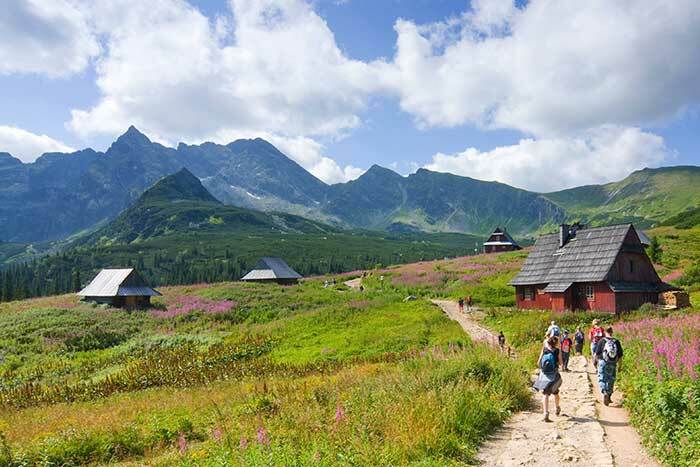 We design and support our Poland trips to suit mixed abilities and varied interests—so you can set your own pace, then change things up as the day unfolds. And all guests are free to do the same, traveling together or apart, with no one cramping anyone else's style. Which sounds easy in theory, but it's hard to pull off. Here's more on how we do it. With Backroads you won't end up with kids on what you thought was an adult trip; we have exclusive departures for families, so they're off having their own adventures. 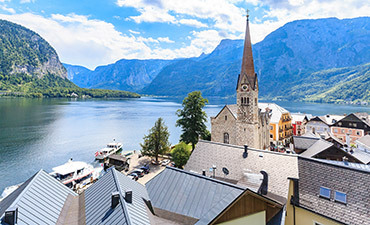 As you browse our unrivaled selection of trips and dates, you can count on finding a trip in Poland that's geared exclusively to your choice of traveling companions. 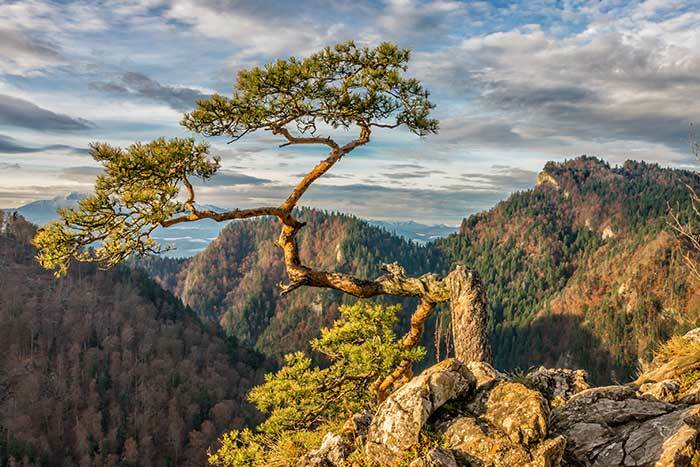 Thanks to our extensive connections in Poland, Backroads takes you off the beaten track and deep into the region's culture in ways that traditional travel can never hope to do. We know the people and their customs, the legacy of art and architecture, the complex history and politic—and if we're not sure, our amazing local experts can fill in the blanks. Tom Hale has been keeping Backroads on track, with one eye on the horizon, since 1979. His passion for active travel, and for ensuring the highest-quality travel experience, is evident in every detail we add to make a guest's trip unforgettable—and the fact he's right there in the office, making it happen. To hear Tom describe his vision, watch our video.